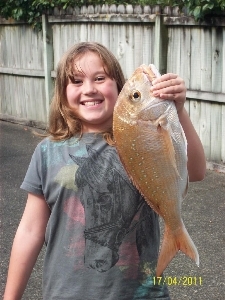 Summer game fishing is fully underway now, and Raglan has been a popular destination for all types of fishing. Our three boat ramps were slammed on Waitangi Day with trailer queues out the gate at Manu Bay and trailers covering almost every square inch of grass at the Kopua campground area – everything was a go. From good snapper in the harbour to be had (if you're in the right place at the right time), all the way out to a 160Kg swordfish being weighed from out at the 400-meter mark, the fishing is good. Marlin have either been in closer around 80 meters or out wider in 110 to 140 meters. Several good fish have been weighed by Raglan Sport Fishing Club including a 120kg striped marlin on Wednesday. The kingfish have also been running hot with excellent fish to be found out at Gannet and other structures. Vertical jigging, especially on the change of light is the way to go, but the tax man is present so be sure to crank up your gear. There are some good snapper back out due west from 53 to 63 meters. Fishing in 20 meters of water off the beaches a bit further north of the harbour has also produced some good catches, with the fish hungry for all types of bait. My little amazing FISHO !!! what a girl !!!! - Under float straight off beach using Pille !! !